¿Hablas Español? Or rather, ¿quieres hablar Español? If you want to become fluent in Spanish, immerse yourself in a continent full of Spanish (and Portuguese) speakers. South America is a fantástico study abroad destination, offering a unique fusion of cultural and natural experiences and teaching students new languages and customs in one-of-a-kind habitats. After all, this is the continent with the widest river, highest capital city, longest mountain range and tallest waterfall in the world. Plus, some places you just might’ve heard of—the Amazon, the Galapagos Islands, and Patagonia, for starters. Say sí and dive into all this continent has to offer. Step one: learn Spanish. Most university programs require students to study some Spanish (or Portuguese) before arriving in South America, but one quickly learns that textbook Spanish and street Spanish are not necessarily twins, but merely siblings. South America is unlike other study abroad destinations such as Europe or Oceania in that the majority of locals don’t know English. So, so download these apps and get learning! Use SpanishDict when you have a few moments to review some phrases. We found success by adding sayings to our “favorites” directly before or after a Spanish encounter. Or maybe you’re not quite on that level yet and need some assistance to make it through a convo. No sweat. Just open up the Speak & Translate app to translate as you talk; it’s very handy for asking directions or other need-to-know specifics. And when you’re way past that level, this Spanish Slang app will help you sound like a born-and-bred South American. If you’re lost, use the MAPS.ME app to navigate the streets without data. For getting around Buenos Aires, Caracas, Medellin, Rio de Janeiro, Santiago de Chile, or Sao Paulo, take advantage of the awesome public transportation with the AllSubway app! Its one dollar price tag is a steal for its offline navigation functionality. To prevent losing your valuables, attach a Tile to your camera, wallet, passport, and phone to find them anywhere, anytime with the push of a button. The Tile boasts a dual functionality! If you lose your keys, open up the app on your phone and press “find keys” to prompt them to ring while their location is displayed on your phone. Should you happen to lose your phone and press the Tile keychain on your keys, your phone will start announcing its location. If you learn one Spanish phrase, it should probably be, “how much?” While bartering is the norm in South America, you’ll want to know if you’re getting a fair currency exchange. In major cities, finding a trustworthy teller can be tricky. We suggest changing cash at nice hotels when you can, and always checking the exchange rate in the XE Currency Converter app. This app is also super helpful while shopping or booking; you can convert pesos to reias to dollars in nanoseconds. Crossing the Equator means entering the opposite season—and while we’re no meteorologists, we’d expect spring in a continent that’s 40% covered by rainforest to be pretty darn wet. Keep yourself happy and dry by zipping up a Toad & Co Aerium Jacket, a stylish number that’s not just water repellent, it’s waterproof. Keep the rest of your belongings dry in a Kanken Backpack, constructed out of Fjallraven’s patented water-repellent fabric. Designed in Scandinavia, it’s chic enough for the streets of Buenos Aires but rugged enough to handle the glaciers of Patagonia. Your vulnerable AND valuable possession is probably your phone—as it’s often exposed to the elements while checking directions or snapping photos. We suggest keeping it safe from liquids and sidewalk collisions in an Otterbox Defender case. Before you know it, it will be time for Christmas on the beach. Keep your Brahma beer cold in a compressible AO cooler! You can blast “Frosty the Snowman” from these portable, waterproof snazzy speakers that are perfect for South America’s beaches and rainforests. From experiencing the sunrise over Machu Picchu to feeling small in Bolivia’s Salar de Uyuni, South America is worth it. Besides, sometimes it requires heading to a new hemisphere to gain a little perspective. We think trips are always a tad too short—wouldn’t it be nice to be on vacation forever? Whether you’re between jobs, degrees, apartments or relationships, transitions are the perfect time for a “gap year” abroad. 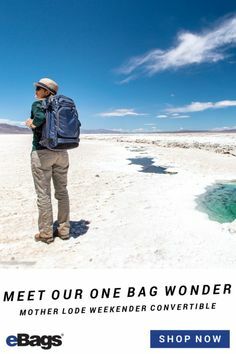 Live like a local by relocating to another city, or take a sip of wanderlust-infused water and bounce around the globe with nothing but a backpack. There are a million ways to travel once time constraints are removed…your one-way ticket may become the first of many new best friends! Consider this: while the trip’s duration is longer, your baggage allowance is the same. Packing for an extended trip is like packing for living, not for traveling. 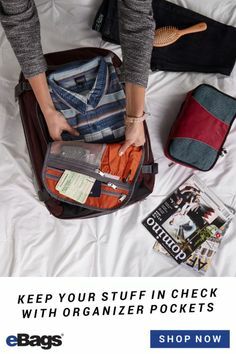 Here’s a handy checklist so you bring only items that will either significantly enhance your travel experience or that you can’t find abroad (some of our favorite things are digital, BTW!). Now blast Africa by Toto and get packing—after all, sabbaticals are the new spring break. Passport, camera, phone, jewelry…isn’t it funny how all of your most valuable possessions can fit into one bag? Protect your belongings and protect yourself with travel insurance—an absolute must. We love World Nomads insurance for longer trips since it’s geared towards backpackers. This is an affordable service that keeps you covered across multiple continents, with the option to further extend your coverage as needed. It covers everything from lost baggage to theft to adventure-related injuries. iPhones and other American mobiles can be hard to come by in other countries, so protect your precious device with a waterproof, shockproof Lifeproof phone case. If you prefer a slimmer option, keep your phone or tablet from shattering with a barely-there Zagg screen protector. What’s even more precious than your phone or camera? The photos they hold. If you care about these invaluable memories, stop what you’re doing and download Google Photos right now. No, it’s not just for Android devices. This app automatically syncs to your pre-existing photo library, uploading everything instantly to the cloud. Google Photos are quite smart—they use artificial intelligence to recognize faces and places…so if you’re shutter happy and somehow amass 40,000 photos over eight months, they’re all keyword searchable. If you prefer shooting on a camera rather than on an iPhone keep these professional pics safe on the go with an SD to iPhone converter—this will enable you to easily add them to your Google Photos and hard drive. Backpacks and gap years are like peanut butter and jelly. A match made in heaven for good reason—you never know what terrain you’ll encounter, from rocky trails to cobblestone streets to wobbly boat. 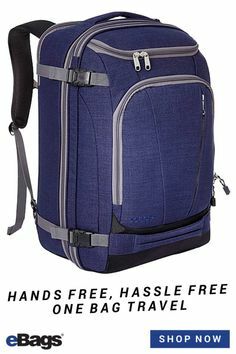 Leave the roller bag at home, instead of carrying the eBags Mother Lode Weekender Junior Backpack. 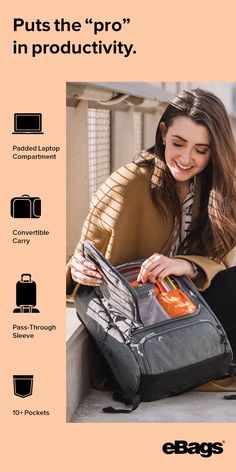 It opens like a traditional suitcase and boasts thoughtful pockets to keep you organized while mobilized. On an extended trip, your backpack is your closet! And you wouldn’t leave your clothes in a pile in the middle of your closet—you’d hang them, stow them and sort them, to some degree. 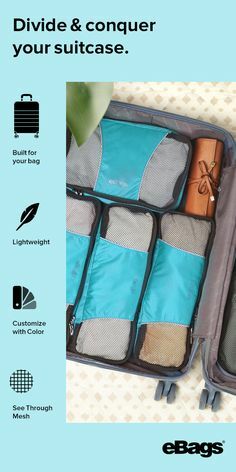 Packing cubes are like drawers for your backpack, and we’re obsessed with these eBags Packing Cubes…an absolute must-have when unpacking and repacking countless times. You can even use one as a laundry bag! 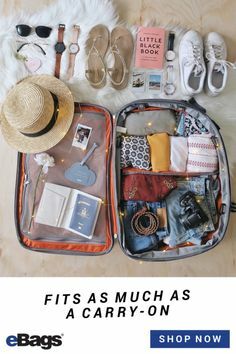 Long trips are the perfect time to tap into the magic that is packing a bag within a bag. Like a Russian nesting doll, this Gobi Gear duffel condenses into almost nothing when empty, waiting inside your big bag to be of service. 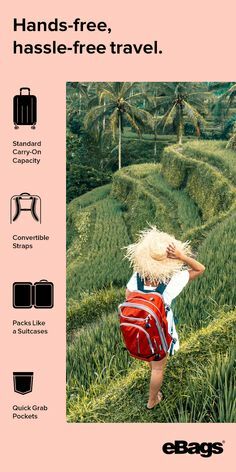 Let’s say you’re in Hanoi and want to journey to Ha Long Bay or Sapa for a few days—simply stowing your heavy bag at a hotel or hostel, then stuff the bare necessities into a smaller, lighter bag. Your phone is a lifeline to maps, music, reservation confirmations and so much more. Your dead phone is trash! 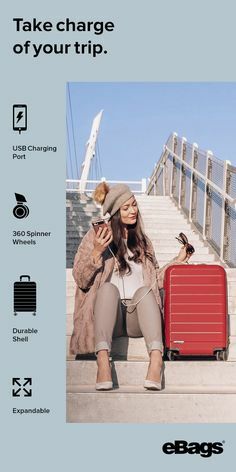 A charging Mophie case will keep your phone alive and useful—versus plug-in backup batteries, this case is fairly incognito and particularly useful when snapping photos. No matter where you are in the world, you are in control of your mood. Comfort food isn’t always available, but comfort tunes are! These wireless Jaybird headphones let you keep your phone stowed safe or plugged-in while listening to your favorite jams. And if you’re ever feeling particularly homesick or anxious, the Headspace meditation app has sessions just for travelers, guiding listeners through air travel and more. Whether you’re traveling solo or with friends, the Tripr app will help you meet like-minded travelers from all over the world. Like a mash-up of Facebook, MeetUp, and TripAdvisor, Tripr syncs with social accounts and lets you enter details about upcoming and past trips. If someone is going to be in Buenos Aires when you are, Tripr alerts you and gives you the option to chat with them…without exchanging numbers or sensitive information. The HostelWorld website and app has thousands of properties, including both and affordable hotels—worldwide. It includes reviews from travelers with scores for each place’s cleanliness, sociability, location and more. This app rules for easy booking in advance or last-minute, requiring only the smallest of deposits to hold reservations. Any trip is memorable, but a year abroad is absolutely life-changing. Succumb to your inner #wanderlove, gear up with eBags…and stay on the road as long as you like.